You’ve arrived to BMW of College Station’s Finance Department where our auto loan and car lease staff are great resources for finding your next vehicle. Our expert team is proud to provide financing options for your new vehicle whether it’s been pre-owned before, or you’re the lucky original owner. From this page, you can start by filling out our Finance Form or ask us anything and we’ll quickly respond to your inquiry. 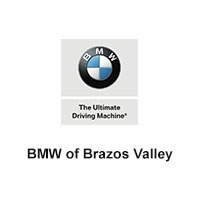 BMW of Brazos Valley has strong relationships in the finance industry and our goal is to find the perfect car loan company to suit your exact finance situation. All types of car loans are available for customers with existing loans and we’ll make them available so you can refinance your existing car loan or help to adjust the terms of the contract. Our expert Finance Team is standing by and ready to help so come down to Bryan, TX or start the process now through our online services. We look forward to exceeding your expectations through our precise, friendly service.